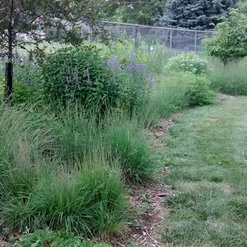 We design native plant gardens that focus on sustainability, wildlife value, and less maintenance compared to traditional landscapes. 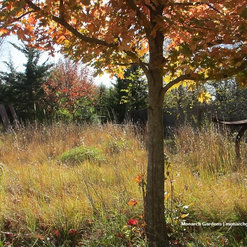 Through an artful interpretation and revival of the prairie community we bring nature home in all four seasons. What makes us different? 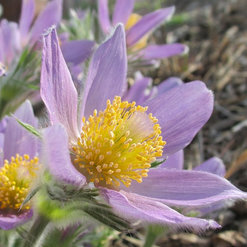 -- We use 100% native plants to support wildlife such as bees, butterflies, and birds. -- Our plants are younger which helps them establish sooner (within weeks). -- We use more plants in lush, layered designs that mimic nature to increase ecological function and decrease maintenance over time. -- No soil amendments or fertilizers and very little to no mulching. We work with current site conditions as much as possible (plants can help fix issues like ponding, erosion, weeds, or low fertility). -- During the first year we provide additional consults to help you establish your new wildlife garden and ensure long-term success. The process begins with an initial consult in your landscape then proceeds to a design, which may be done either digitally as a formal plan or on site the day of installation. We procure all plant material sourced as locally as possible. Installation can be performed by clients under our guidance, set up through a contractor of your choosing, or we will be able to perform the install. We work with clients primarily in Lincoln and Omaha, but have helped homeowners across the Midwest. We hired Ben to design and install our landscaping this fall, and while we'll have to wait until spring to see how things turn out, I was very pleased with the experience. I did quite a bit of research and what drew me to Ben was his garden philosophy. We have a wooded lot and I was searching for someone who shared my desire to create habitats for wildlife. Ben is a great listener and created a design that incorporated my wishes and communicated well every step along the way. I'd recommend him in a heartbeat! 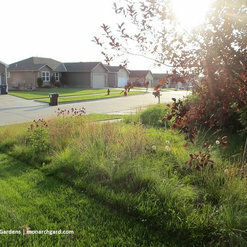 We have slowly been transforming our yard into a sustainable landscape that supports our native pollinators and wildlife. There is so much information and misinformation that I was becoming discouraged in attempting to do this on my own. I was fortunate enough to attend a seminar and listen to Benjamin share his passion and knowledge. Benjamin did a wonderful job of understanding and complementing my vision by suppling a workable design and over 500 plants. He is great teacher and always willing to share his knowledge. 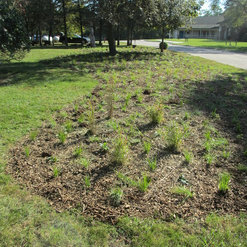 Our transformation has began and we plan to have him assist as we continue to convert from lawn to a native landscape. Monarch Garden's philosophy is exactly what we've been looking for. Ben did a wonderful job understanding my needs and complementing my vision. He was easy to work with, prompt and mindful of budget. After install he continues to be interested in the project, considerate of care advice, and willing to ensure the experience is unlike any other. If that doesn't set him apart, his knowledge and thoughtful additions will. The care plan and plants are given on a carefully crafted USB. It is evident Ben cares about his craft and it extends beyond your landscape and into the Nebraska plains. Considerations I had for my landscape were sustainability, ease of care, reflective of Nebraska's plains and great atheistic and color. Over 500 plants were installed and will take 2-3 years to take shape. Mr Vogt and two crew members personally installed the plants. If you are looking for a step above paired with a truly a great experience; do yourself a favor and consult with Monarch Gardens. 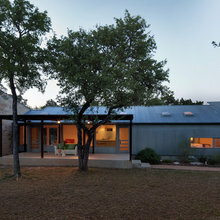 We wanted to landscape our home with native plants and grasses but weren't certain how to make that idea become reality. Fortunately we "discovered" Monarch Gardens. Benjamin was very responsive and receptive to our needs, providing us with a workable design, plantings, advice and encouragement. We now have everything in place and are looking forward to further results this spring. 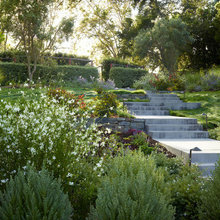 We highly recommend Monarch Gardens for anyone considering native landscaping. Mary Beth and I worked with Benjamin to help transform a portion of our landscape into a pollinator garden ... and transform he did! 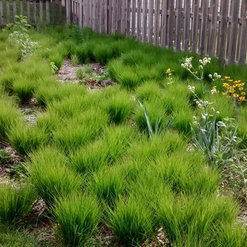 Benjamin listened to what we wanted, and then designed and implemented over 500 square feet of space with 1,100 plantings. We can't wait to see how our new garden grows in the spring. I can't say enough about our collaboration with Benjamin Vogt and Monarch Gardens. I recently worked with him as part of a joint project between the Nebraska Wildlife Federation and the Cornhusker Council Boy Scouts of America. 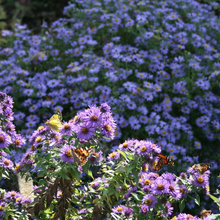 Monarch Gardens designed and facilitated the install of a 2,000' garden at the Council's headquarters. Benjamin's project management was superb in ensuring volunteer planters of all ages had a clear, easy, and enjoyable time, all while making sure the design stayed true to the space. One aspect of his management which made planting easy was the amount of thought and skill he brought to plant selection, site preparation, ongoing communication with all involved parties, and on-site sharing of the hands-on work. We used all native plants to Nebraska that will be blooming from spring to fall, and in particular helping monarchs and other pollinators. If you are looking to establish a monarch butterfly and/or pollinator garden I strongly encourage you to contact Monarch Gardens. You won't be disappointed. Monarch Gardens was a pleasure to work with. I was a little skeptical because I'm in NJ and Monarch is in NE, I think. Point being, we never met. Communicated via email. Clear, concise and professional. I just received the design last week, which appears to have met all the requirements I was requesting. I will re-post after the garden is planted and again in a couple years when all has fully grown in. I had a very good experience and would recommend Ben/Monarch Gardens highly! I will be implementing Benjamin's design for our urban backyard starting in the spring of 2016. It is rich in native plants and works around existing structures and trees. The plans are easy to interpret and will help me reclaim a depressing area that was extra parking for the previous owners of the home. I chose Benjamin for his style and transparency in his pricing structure. I was very pleased with his friendliness and the concept that he has created for my home. For quite awhile now, I've been seeking more biodiversity in my own environment that will nurture and support the wildlife we share this world with. We should landscape not just for beauty, but with a purpose. It is disheartening to see butterflies and bees land on hostas, knockout roses and blooming annuals looking for food, only to move on. We removed some large, old shrubs and weed trees out of a 3500 sq. ft. space in our back yard ten years ago and have been looking for a solution ever since. Monarch Garden's philosophy is exactly what we've been looking for. A personal consultation proved to be extremely helpful, and Benjamin was very professional, friendly, knowledgeable and came up with a plan that exceeded my expectations. He's been very easy to work with, promptly answering questions and providing guidance throughout the project. Cost estimates were right on track. Project is still in progress; can't wait to complete it soon. Project is ongoing, billing at later stage of completion. Cost is projection. Hired to design and implement native landscaping design for front and back yards. Project ongoing, expect completion late spring/summer 2015. Benjamin is very knowledgable, gracious, communicative, and thoughtful. His enthusiasm for a challenge is reassuring and we are looking forward to his design implementation. 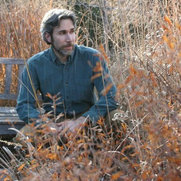 Ben has a very open, friendly attitude with passion for native plants that is contagious. I hired Ben to do a North side native garden that would have low maintenance and visual variety and also attract native pollinators. He was able to work with my garden dimensions l provided to save gas/drive time and provided a to-scale garden design plan exactly as expected. 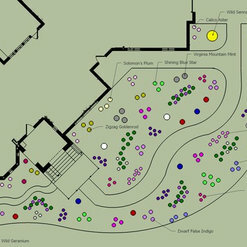 Plan was clearly marked as to what plants were in the design with full names. Planting tips for height of plant top to bed and mulch amount was provided that made the planting stress free. I was able to get the plants at recommended garden centers for almost exactly the cost of his plant estimate. Very easy to work with and we plan to do other gardens as we develop them around our house. Commented: What is this purple flower the butterfly is on?It could be Liatris pycnostachya. There are many Liatris species for a variety of site conditions and native ranges. Commented: What is this beautiful tall plant?Liatris aspera. There are MANY species to choose from. 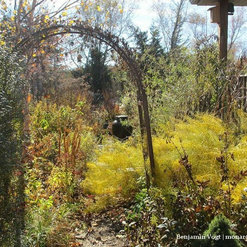 Commented: Online/Catalog Retailers - who's good, who to avoid?In the Northeast check out Izel Native Plants.